common and large-format media sizes, all at a low purchase price. results for all your document needs. printing up to A1+ size. Enjoy the versatility of printing in colour on a wide range of media types and sizes up to A1+. 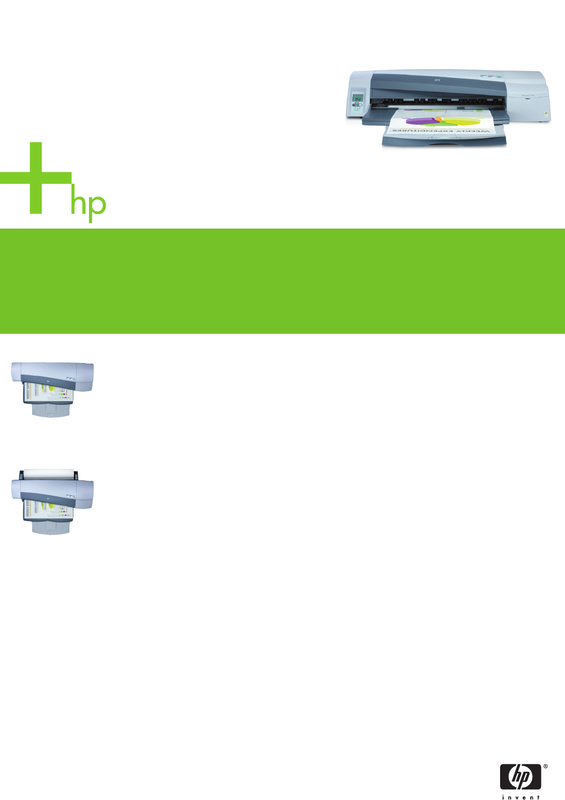 •Convenient media handling from three independent paths lets you create a variety of documents. coated, glossy and CAD media for line drawings and renders. Get the most from your budget with this multi-format printer that is cost-effective to own and use. • Eliminate outsourcing costs for complex print jobs or occasional large-format needs. •Easily and cost-effectively print your oversized business documents and CAD line drawings, schematics and renderings. •Control the amount of ink used by selecting a print-quality mode for drafts to final copies. •Use Fast mode to save ink and Best mode for the best ink coverage. Get high-quality results and experience the professional performance you expect from an HP printer. cartridge ensures precise ink placement, crisp, sharp lines and text. • It also provides lasting results for archiving CAD plots and architectural plans. HP Color Layering Technology which together provide a wide colour gamut, continuous tones and smooth transitions. •Print at up to 11 ppm (A4) and up to 90 seconds per page (A1) in Fast mode. Standard with the HP Designjet 110plus nr Printer, optional with the HP Designjet 110plus Printer. With the 10 black pigmented ink cartridge and printhead (in accordance with ISO 11798).